We are water babies and our favourite hotels are without a doubt those with pools! 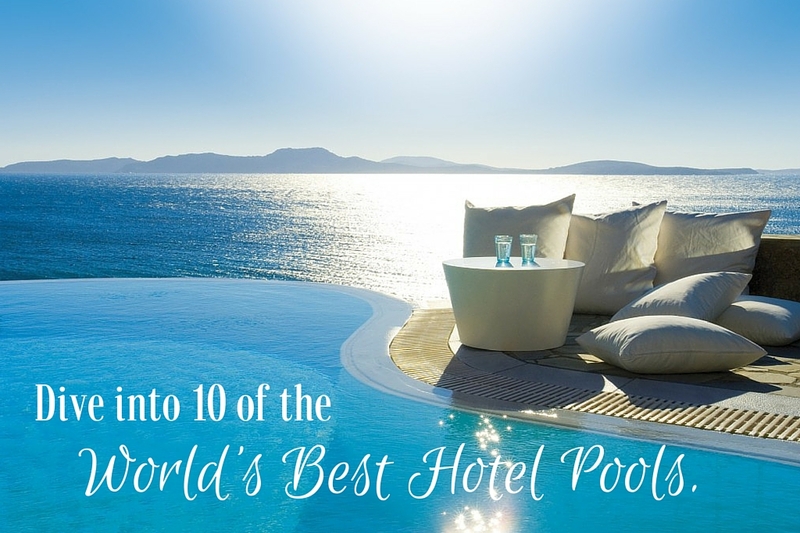 Here’s 10 of the top hotel pools we’d love to dive into right now! 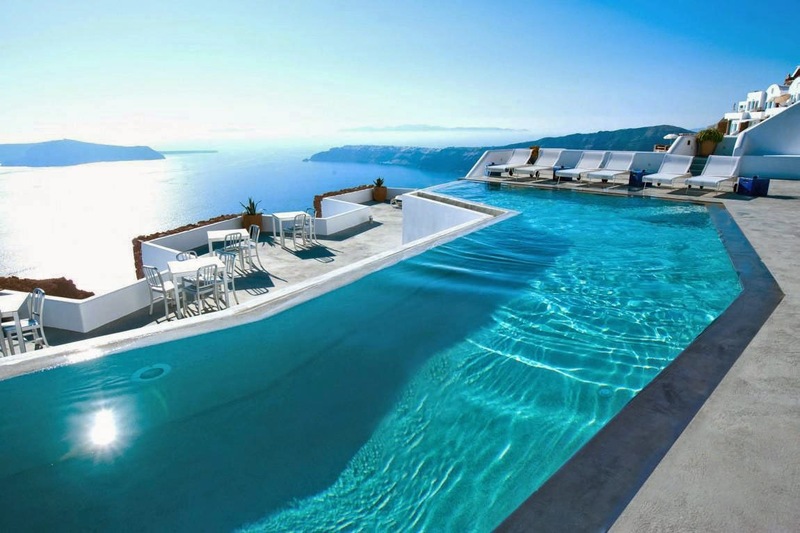 Katikies Hotel – Santorini, Greece. This is without doubt one of the most iconic and photographed hotel pools in the world with a pool carved right into the caldera. The cave pool has the most incredible views over the Aegean Sea. This hotel doubles up on the water loving, also boasting an infinity pool for its guests. San Alfonso del Mar – Algarrobo, Chile. This resort has the world’s largest and deepest swimming pool – over 19 acres & holding 66 gallons of seawater! Pretty impressive! Hotel Caruso – Ravello, Italy. Hotel Caruso’s infinity pool is located at the highest point in stunning Ravello over 350 metres above the sea offering you some of the most stunning views of the Amalfi Coast you’ll find. 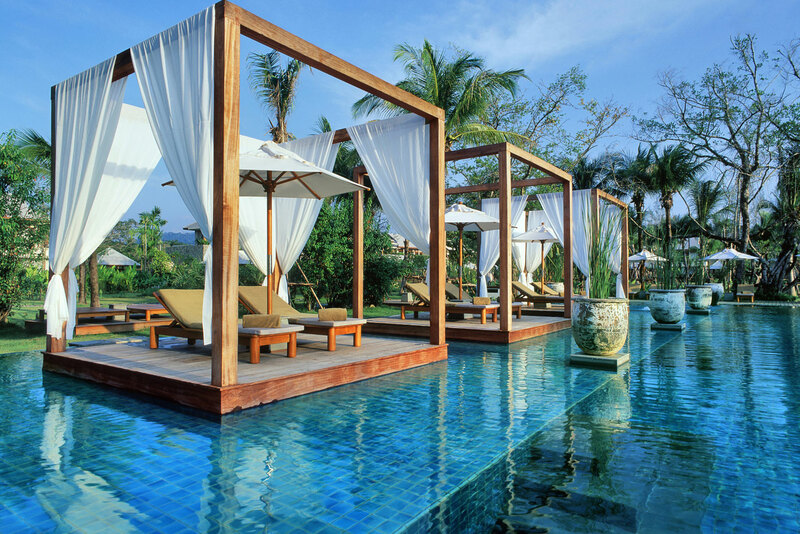 The Sarojin – Khao Lak, Thailand. It’ll be a hard decision to decide whether to spend your days on the beach or at the pool whilst on a stay at The Sarojin. The infinity pool boasts islands with drapes offering you the ultimate in relaxation and privacy. Four Seasons Safari Lodge – Serengeti, Tanzania. This infinity pool is the human equivalent of a watering hole offering you uninterrupted of a real watering hole whether you can gaze in awe at elephants and other wildlife all day long and experience one of the most incredible sunsets of your life. Ubud Hanging Gardens – Ubud, Bali. These gorgeous twin infinity pools hang over the stunning Balinese jungle – what better place to relax? 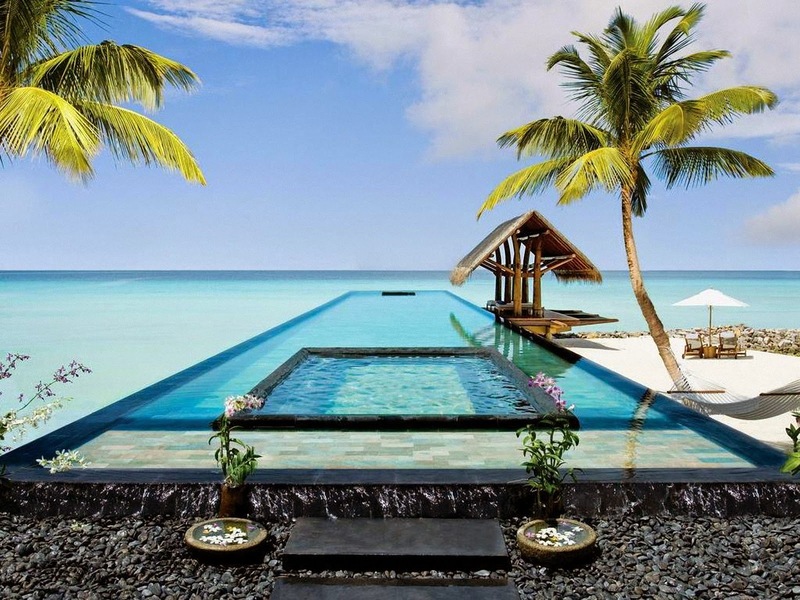 One & Only – Reethi Rah, Maldives. A luxury resort in one of the most luxurious and beautiful destinations on earth. One & Only truly is one & only it has a unique seawater pool with an even smaller pool within. Marina Bay Sands Hotel – Singapore. Marina Bay Sands Hotel is the worlds highest pool, stretching across the three towers of this hotel & offering the most incredible views of the Singapore skyline. Located on the island of Ya Noi, each of the 54 villas has its own pool with the addition of this incredible infinity pool which guests can use which showcases views over the jagged skyline of Phang Nga Bay. The Cambrian – Adelboden, Switzerland. Majestically located in the middle of the Swiss Alps surrounded by lush scenery in summer and snowy winter wonderlands in winter, the heated infinity pool can be used all year round. What other hotel pools do you have to add to our list?